HENDRY COUNTY, Fla. -- Take a look of these picture showing an algae bloom appearing in Lake Okeechobee. These are pictures from the National Oceanic and Atmospheric Administration satellite. The picture on the left shows how Lake Okeechobee looked just last week, compared to Sunday. 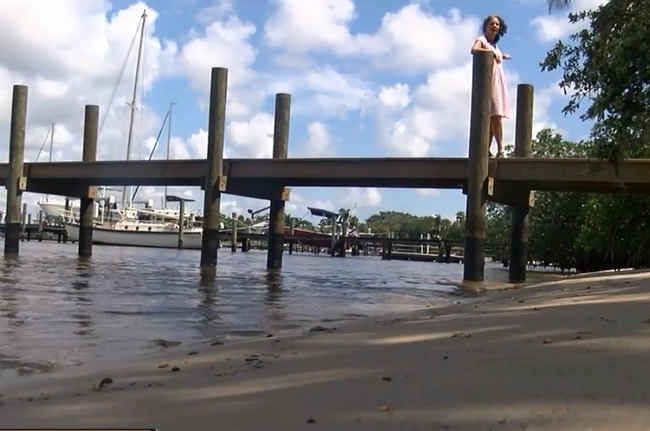 And that’s a problem for Southwest Florida since water managers have once again been releasing tons of water from Lake Okeechobee into the Caloosahatchee River, which flows into our gulf beaches. Water is also being discharged to the east, into the St. Lucie River. That's where they see the brown water, and sometimes algae blooms along the coast, too. Jacqui Thurlow-Lippisch has many titles, but today we give her the title of algae chaser. "If someone had told me this is what my life would become, I would not have believed them," said Thurlow-Lippisch. She and her husband Ed are known to capture the images. "In the morning and the weekends I'll say are we chasing algae today?" 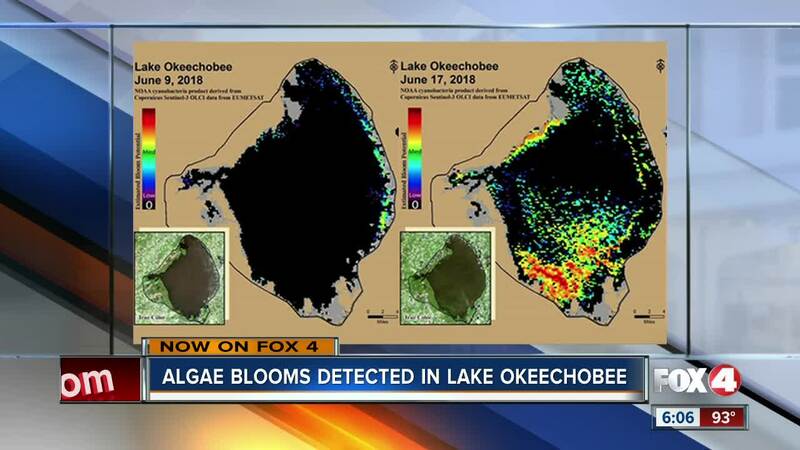 Ed captured a possible algae bloom on Lake Okeechobee Saturday. That's a big concern as the U.S. Army Corps of Engineers continues to discharge water east and west. A spokesperson says the Corps has not decided whether to discontinue those releases, but are aware of the activity on the lake. Meanwhile Mary Radabaugh at Central Marine is having flashbacks. "It's not good," said Radabaugh. The Department of Environmental Protection is aware and took samples of the algae Monday.